Information about exciting events is periodically posted here. 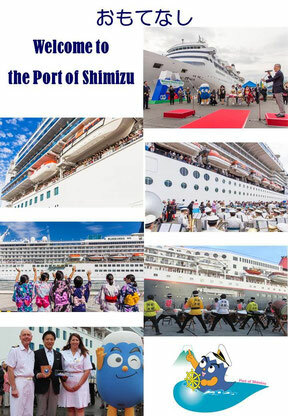 Make sure to check regularly and find out what sorts of cool things are going on at the Port of Shimizu! The Port of Shimizu is seeking singers, dancers, musicians, and other entertainers to perform for passenger ship visits at the Port of Shimizu. This is a wonderful chance to make sure the passengers leave Shimizu with fond memories. To apply, please fill out the form located at this link.